There are more Blue Lakes still in use today, 15 years down the line, than any other ride, for good reason. The original boat favorite mild and wild. Specs: 5’4” x 20.5” x 1.75” - 8 lbs. 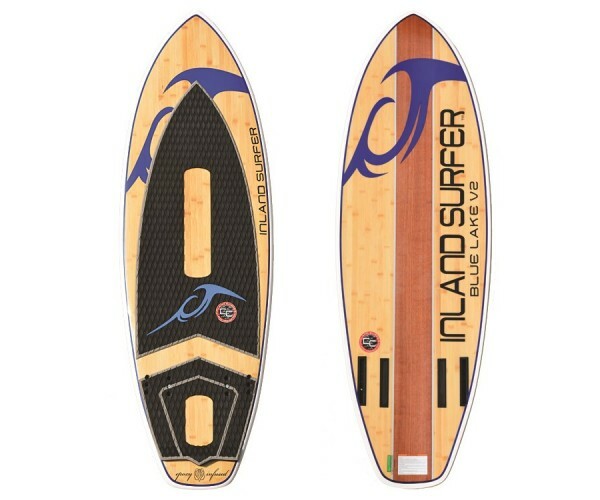 Quad fin option. There’s a reason why there are more Blue Lakes in circulation than any other wakesurfer out there. 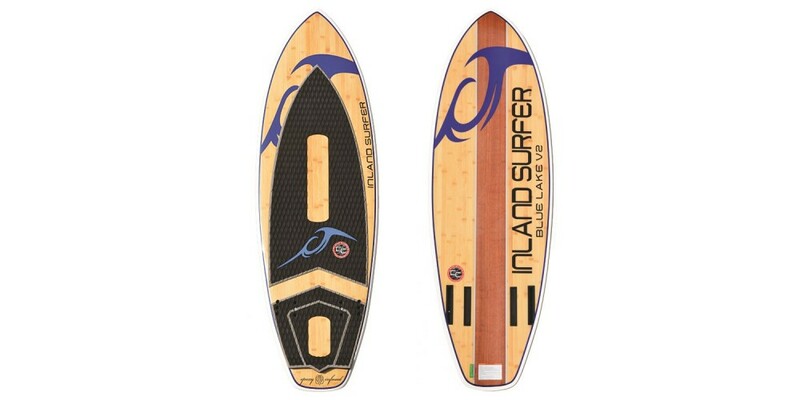 Adding this board to your quiver ensures everyone gets up their first time to riding doubles or surfing with your dog, but also take you to new heights fully-outfitted as a quad-fin. The kick pad and full-deck traction pad on top compliments the Vortex channel and Drop-V tail of the hull delivered the most advanced Blue Lake ever. Finished in two-tone Wood Loc its difficult to imagine it surfs better than it looks. Designed for huge aerials, sweeping bottom turns and surface spins, this board will grow with you, the family and your entire crew!